Working with essential oils has its restrictions due to thousands of choices, popularity, cost and compatibility. There aren’t many beauty or wellness brands whose formulas contain no essential oils, yet still have a nice scent. Why? Because if you take raw ingredients according to Elijah, only a few have pleasant scents (take Neem for example, for all its benefits, in its raw state it smells quite unpleasant). Essential oils, when used in beauty formulas, often mask scents of raw ingredients or are chosen for their therapeutic purposes. 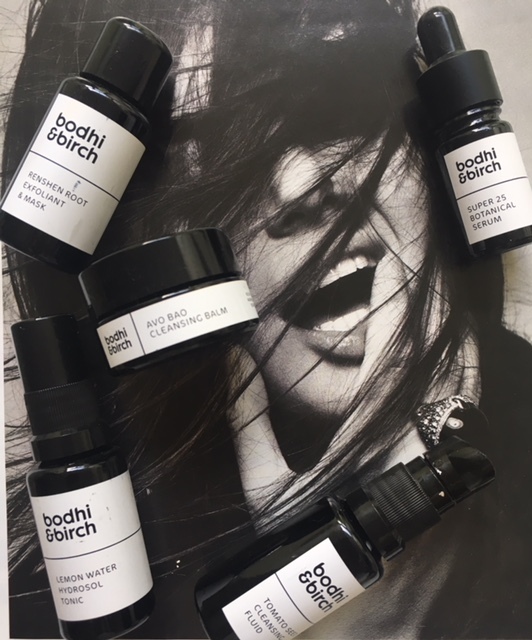 When you decide to create a skincare range that contains no essential oils, you have to select ingredients that either smell good or have strongly prominent scents, as well as skincare benefits. It helps to know that generally scents are controlled by ingredients and when a product is being developed the primary objective is the results and efficacy of the products and the secondary objective is the scent and the effect is has, because for each one of us scent produces an emotive reaction. Sadly overtime we came to rely too much on our sight, to the detriment of sound and smell, so Elijah wanted each of his new products to take people on an intriguing journey of discovery. While this Superfood Series challenge ( it took about three years to formulate & launch into the world) hasn’t been easy, he relished the path that he chose – intriguingly customer & press favourite Super25 has been particularly difficult to formulate due to complexity of acids combination & Lemon Water Hydrosol Tonic due to the difficulty of sourcing of ingredients. 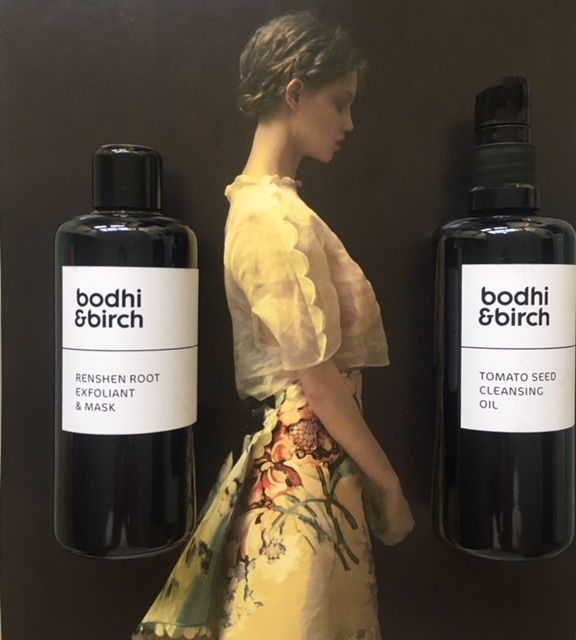 Another inspiring aspect behind Bodhi & Birch Superfood Series skincare products is glorious food, particularly ingredients like Renshen Root, Ginseng, Pineapples, Rosehip and Grapes to name a few, because as Elijah says ‘anything good for the body is good for skin as well’. He also incorporated the ancient wisdom of Chinese traditional medicine into the formulas because it helps improve the flow of Chi, energy, something that has a positive effect on our bodies and minds. 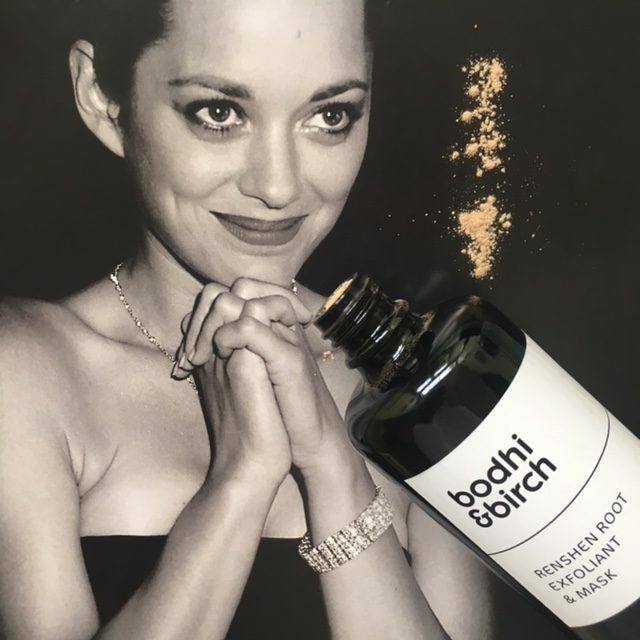 Now that you have some insight into the Superfood Series, let me tell you in more details about the products that captured my imagination and had a visible effect on my skin. 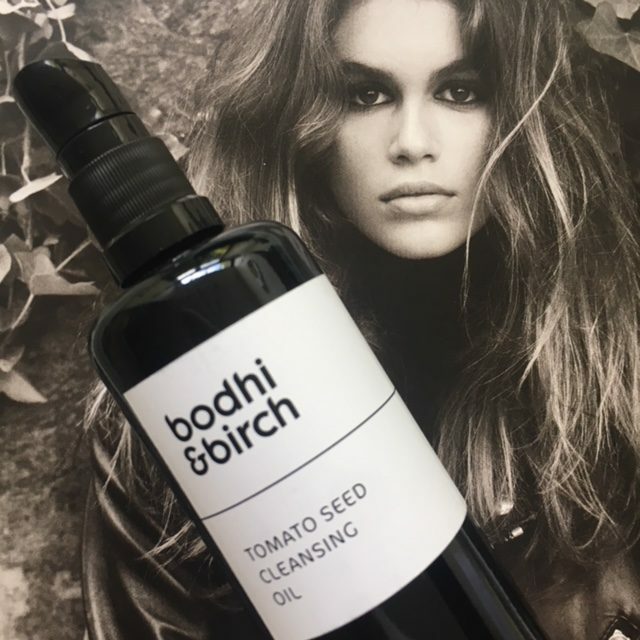 This is a gentle cleansing oil that is packed with super-antioxidant Tomato Seed, Plum Kernel, Rosehip, Pomegranate and Cranberry Seed oils. Elijah carefully considered and mixed the ingredients, trying endless combinations before he arrived at the ‘one’, but even then there were times when he tried to further perfect things in his tireless quest to create something special for his customers. He chose to use Tomato Seed because it is high in Vitamin E, antioxidants and phytosterols that help promote scar healing, smooth out fine lines and diminish age spots. Regenerative Rosehip, aromatic Plum Kernel (its sugar almond scent reminds me of frangipane that I don’t like eating since childhood – a case when a great ingredient for the skin disagrees with my nose), anti-inflammatory Pomegranate and vitamin-rich Cranberry Seed oils work together to keep skin nourished and healthy. 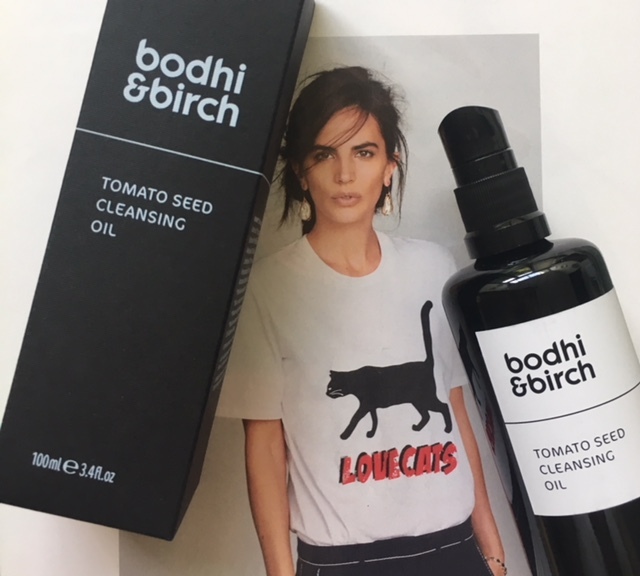 When developing this cleansing oil Elijah managed to combine the need to effectively remove makeup and daily pollutants, with protecting the skin from environmental aggressors. 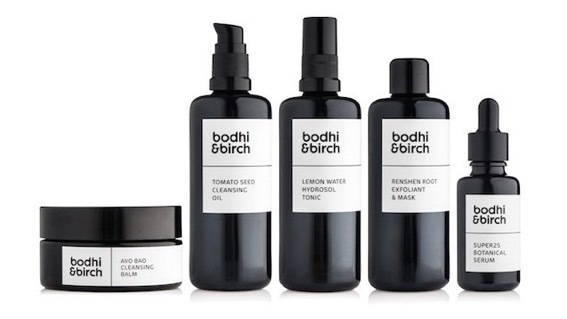 As you cleanse your face and pat it dry, expect to be left with soft, supple and radiant skin even before your use tonic or apply the serum or moisturiser. 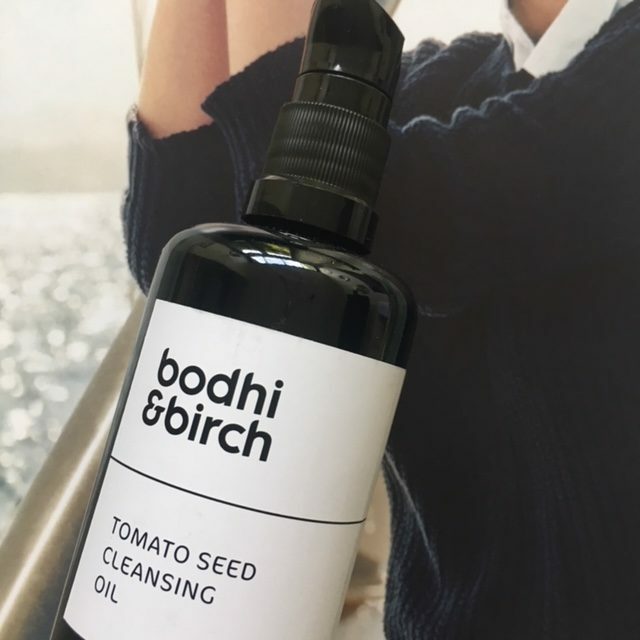 Fragrance Notes from Elijah: Tomato Seed Cleansing Oil has a delicious almond marzipan scent from Plum Kernel Oil, subtle berry notes from Cranberry Seed and a tangy spicy and delicate woody warmth from Tomato Seed Oil. Fragrance Impressions from Galina: a richly enveloping scent that isn’t overwhelming or overpowering. Strong at first, it quickly mellows down. Notes of almond marzipan quickly fade in the background, as you wash it off with water and apply a face mist, serum, face oil or moisturiser. 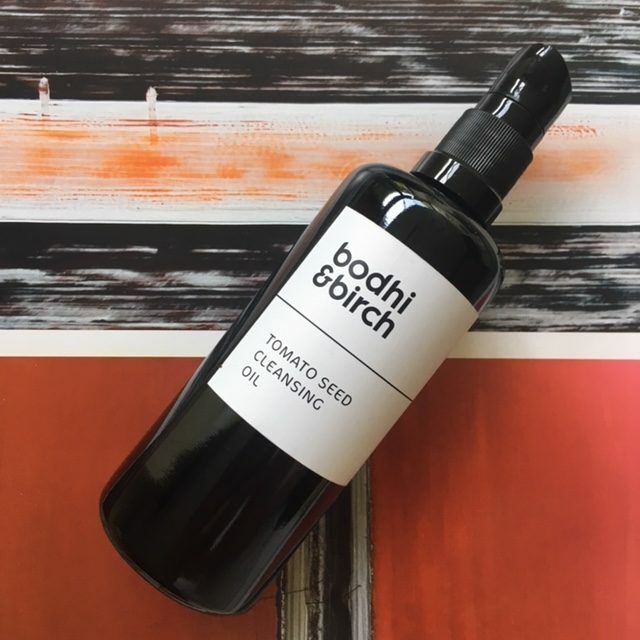 Tomato Seed Oil is packed with Vitamin E and carotenoid antioxidants such as zeaxanthin, beta-carotene, lutein and lycopene along with phytosterols, polyunsaturated fatty acids and minerals. These help to promote the quick healing of scars, smooth out fine lines and deminish age spots, leaving skin fresh, rosy and glowing. Being a byproduct of the food industry makes Tomato Seed Oil highly sustainable. °Certified Organic. *Cold-Pressed. 100% Natural Ingredients of which 98% are certified organic. Suitable for vegans. Not tested on animals. Directions: Elijah recommends warming four to six pumps of oil between the palms of your hands and gently massaging it into skin, dissolving makeup, dirt and impurities. Follow by cocooning a warm face cloth over face and neck, pressing against skin for a moment, before gently wiping it clean. Rinse cloth and repeat until skin is cleansed and radiant. I find that for me about three pumps are enough if I wear light make-up, like a BB cream, but an extra one or two pumps are beneficial when wearing heavier make-up. 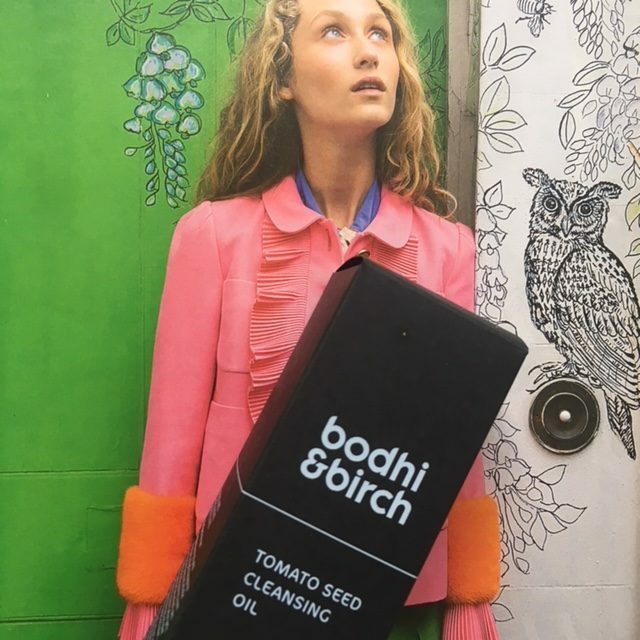 I tend to use lighter cleansers in the morning, but in the evening I prefer a more ‘thorough’ clean in order to get rid of residue and pollution that city life deposits on the skin during the day. Our top skin layer is made up of essentially dead skin cells that form a protective barrier over layers that lie underneath. 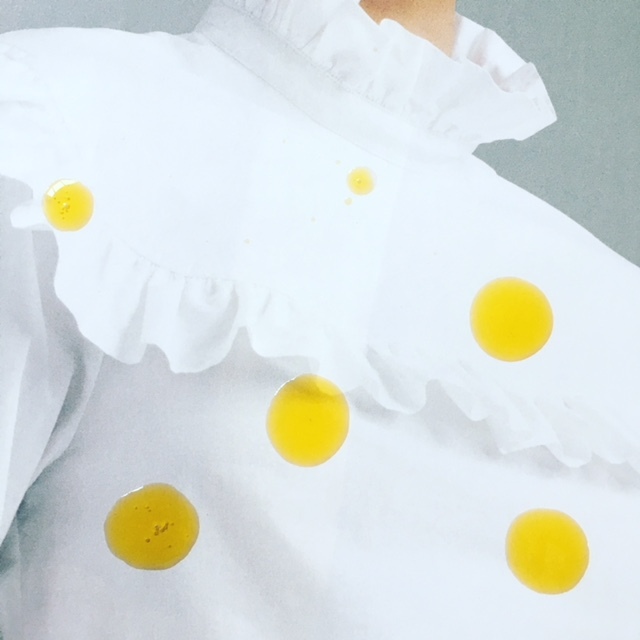 When we don’t cleanse our skin thoroughly enough, our serums and moisturisers won’t be able to penetrate our deeper layers well enough because of a barrier formed by sebum, dead skin cells and product resides. Ultimately cleansing the skin in the right way will allow to optimise the benefits of skincare products that we choose to use post cleansing. This oil is thorough but gentle and while it doesn’t give the ‘squeaky clean’ feel, it makes skin look radiant even before you apply anything else to it straight after cleansing. The cleanser allows your fingers to glide over your face, without dragging or pulling on the skin. That is something that I enjoy in terms of the sensation & knowing that my cleanser can deliver this feeling consistently. When I splash my face with cool water sometimes after I remove the cleanser with a face cloth, I notice larger water molecules form on my face and slide off it, making me pause and savour the moment that is part of a calming beauty ritual that I cherish at the end of a busy day. Tips: Mix with Avo Bao Cleansing Balm to create an emulsifying milk. Can be used as a facial or body oil (something that I highly recommend applying to your body after you have been to the beach and washed the salt and sun protection off in the bath or shower. 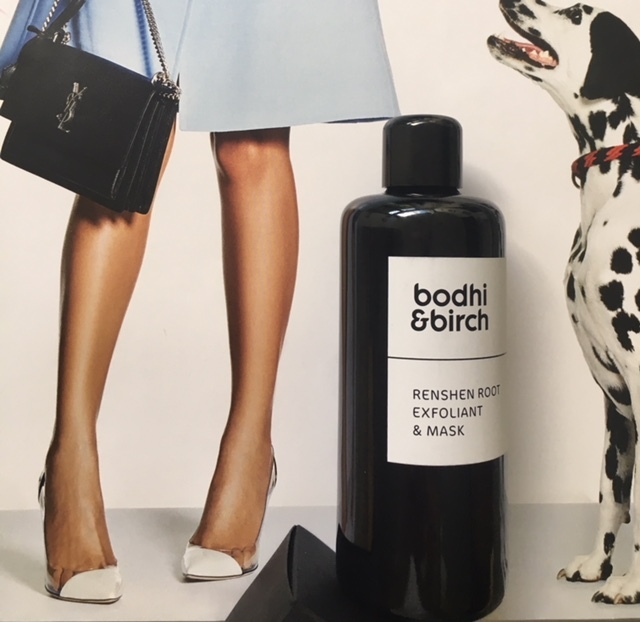 Just apply to slightly damp skin and revel in the sensation of softer, nurtured skin, particularly on your elbows, heels and even feet that take a battering from the nature’s elements, including sand and pebbles. Once a week I also mix it with Renshen Exfoliant & Mask, creating a deeply exfoliating, yet gentle on the skin cleanser. 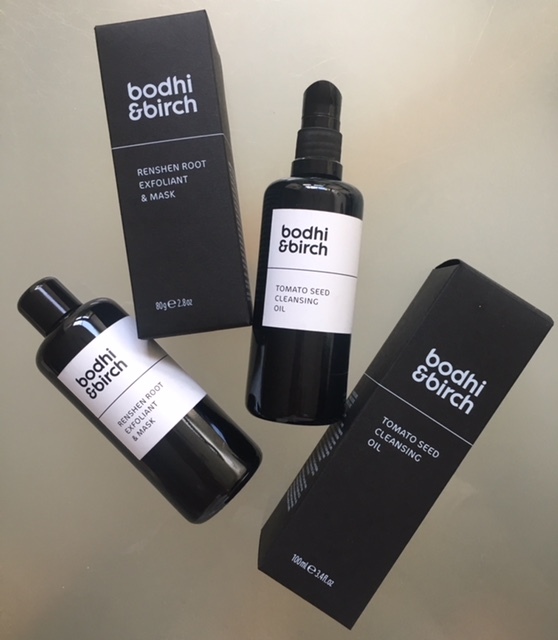 In a nutshell, this Cleansing Oil is a very versatile multitasker, saving your time, but giving you an uncompromisingly effective face care ritual. Cautions: Use a dark face cloth: made with natural ingredients which may colour light fabrics ( I use green, grey and blue face cloths/flannels and haven’t noticed any significant staining on them, but taking into account Elijah’s advice above and seeing the ‘orange’ vibrancy of the cleansing oil, I wasn’t tempted to ‘put’ my white or cream face flannels to the test .) Skin patch test 24 hours before use. Store away from direct heat and light. Once opened, use within 6 months. This was a big surprise for me, because generally I don’t like powdered cleansers, exfoliants or masks. While I love to cook and mix in the kitchen, I don’t fancy doing it at the end of a busy day in my bathroom, particularly when I am tired and short on time. I just want an easy and practical product, after using which I don’t need to clean up bowls or my bathroom sink. Yet again, Elijah made me change my mind by creating something that charmed my skin after just one use. Now I actually look forward to the skincare ritual it offers me once or twice a week. 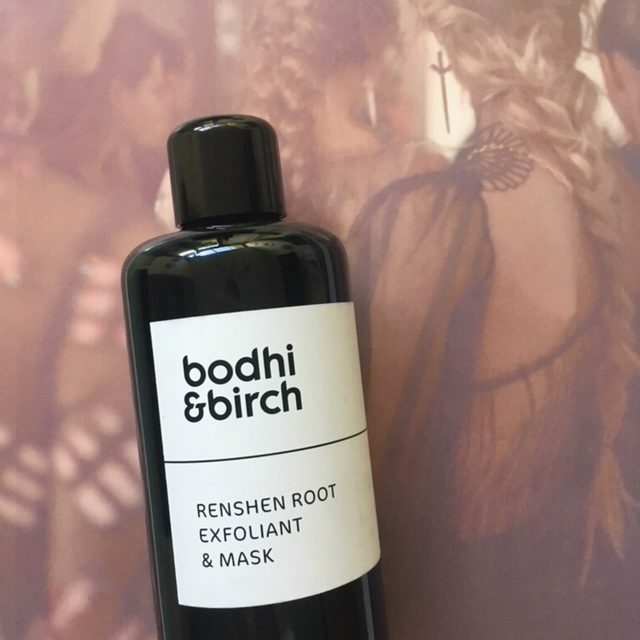 Renshen Root Exfoliant & Mask features Korean Ginseng, Astragalus, Wild Yam, Cat’s Claw, Montmorillonite and Kaolin Clays, plus Raw Cacao and Fruit Powders at the core of its formula. Elijah infused the clays with adaptogens Ginseng and Astragalus that form a synergy and help to purify and replenish vital energy. Ginseng contains phytonutrients and antioxidants that boost collagen and improve cellular regeneration, which slows down as we age, while Astragalus increases skin elasticity and texture, along with Cacao and Fruit Powders that refine, balance and brighten skin. With regular use you can expect to notice an improvement in skin’s clarity, glow and texture. 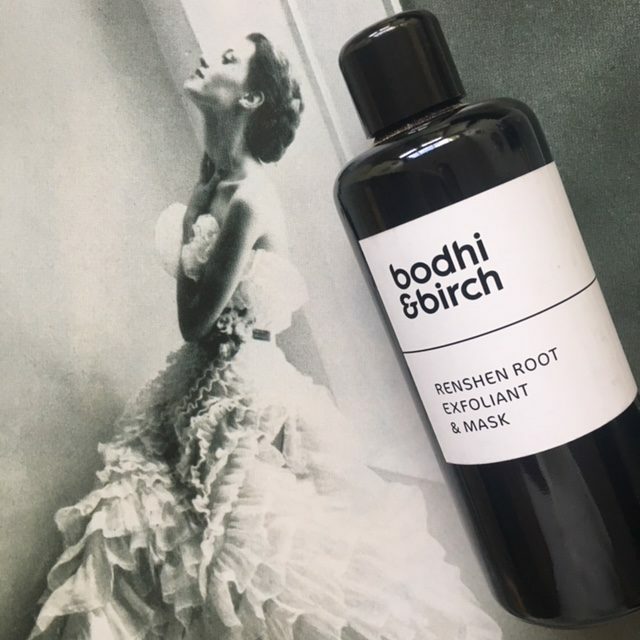 Fragrance notes: Renshen Root Exfoliant & Mask has a herbal, earthy aroma derived from Korean Ginseng, Astragalus, Liquorice and Dandelion, with subtle hints of Pineapple and Banana, followed by rich chocolate notes derived from Raw Cacao. What intrigued me, was the fact that the first four ingredients I normally use as supplements or drink as tea, make a spotlighted appearance in my skincare, by definition making me feel comforted and better in myself, eager to walk the path of discovery of the foodie notes that follow, delighting my mind, but not expanding my waistline. The most highly regarded herb in the Orient, Ginseng is shown in medical studies to be highly effective in fighting wrinkles due to its ability to boost skin-firming collagen. It possesses valuable phytonutrients and antioxidants that is scientifically shown to encourage skin healing and boost cellular regeneration, and give skin a brighter and more youthful appearance. A highly prized Oriental herb, known for its detoxing and tonification capabilities. Astragalus has been proven to increase skin’s hyaluronic acid production, so that it remains youthful for longer. It triggers skin’s natural collagen-producing ‘fibroblasts’ cells and prevents the breakdown of elastin protein, thus helping to increase the elasticity, tone and texture of the skin. Wild Yam contains diosgenin, a specific steroidal saponin. Diosgenin is an anti-inflammatory, and has been suggested to enhance DNA synthesis in human skin, while restoring skin cells. It is also believed to be effective as a depigmenting agent in the skin, potentially helping to reduce the appearance of unwanted dark spots and inhibiting the occurrence of new hyper-pigmentation. Originating from the Amazonian Basin, Cat’s Claw possesses antiviral, antioxidant and anti-inflammatory properties. Studies show its broad spectrum of biological activity, including the ability to enhance DNA repair on human skin. This remarkable benefit helps to speed up the skin’s healing process and stimulates skin cell regeneration. Montmorillonite is one of the most effective and powerful healing clays. Containing a high assortment of minerals, including calcium, iron, magnesium, potassium, manganese, silica and sodium, its unique negatively-charged particles attracts dirt and grime on the skin’s surface. Kaolin Clay possesses gentle absorptive properties effective for pulling impurities to the surface, leaving skin deeply cleansed and bright. It’s ability to stimulate skin circulation can offer a toned and tightened appearance. 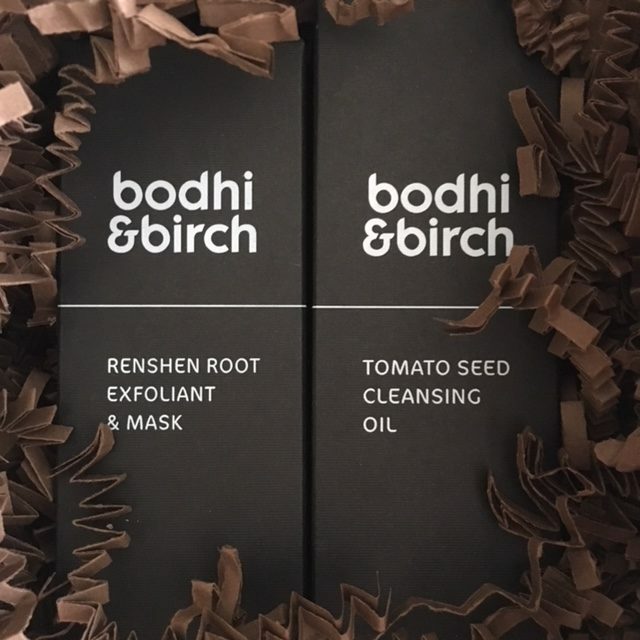 Rosehip contains the highest natural concentrations of Vitamin C (ascorbic acid) and bioflavonoids to maintain a healthy skintone and promote cell regeneration. Grape Skin is high in phytonutrients, including Resveratrol, a powerful antioxidant with potent anti-aging properties. Pineapple contains the fruit enzyme bromelain, an effective exfoliant that sloughs off dead cells, while imparting cleansing and invigorating benefits on the skin. Banana is rich in both potassium and Vitamin A to help keep skin healthy. Cacao is a superfood powerhouse because of its high antioxidant levels. Containing high levels of polyphenol antioxidants, it protects our skin from premature ageing. An anti-inflammatory skin soother, it is naturally rich in flavonoids that help slow down the ageing process, repair and prevent additional damage, and support healthy collagen production. °Certified Organic *Natural Mineral. 100% Natural Ingredients of which 65% are Certified Organic. Suitable for vegans. NOT tested on animals. Mix a teaspoon with drops of water until blended to a creamy paste. Gently massage into skin with circular movements, avoiding delicate eye area. Rinse. Alternatively mix with Avo Bao Cleansing Balm and apply as a face mask. Leave for 10 minutes before rinsing. Follow with Super25 Botanical Serum or any other face oil or serum your skin fancies. Cautions: Not recommended for highly sensitive or broken skin. Made with natural ingredients which may colour light fabrics. Skin patch test 24 hours before use. For external use: avoid contact with eyes. Store away from direct heat and light. Once opened, use within 6 months. As I mentioned earlier, I generally don’t favour powdered masks, but I was sold on this one after just one single use, simply because my skin looked and felt softer, plumper, smoother after just ten minutes. I find comforting both its woody scent and the process of laid-back application to my face in the sanctity of my bathroom, making me feel like a painter working on a canvas, analysing the state of my skin & areas of the face that need more attention. I then have the time to brush my teeth, pamper my feet or do my nails, before washing it off with warm water. The effect is so striking, the improvement in luminosity, clarity and evenness of my skin tone so obvious, that there are occasions when I just spritz a face mist (currently Amly Sleep, but Lemon Water Hydrosol Tonic is bound to impress even the most knowledgable or pampered among you, its plump hualuronic acid molecules & pea peptides quenching the thirst of the hotly bothered summer skin or refreshing it at any other time of the year for that matter) and go to sleep, waking up to content, soft, even skin. A mask unlike any other and that actually makes me see the benefit of powdered formula – so much so, that it is one of the two masks that I took with me on my summer holiday. Incidentally, this is one of Elijah’s personal favourites .) I also think that products like that are a true testament to the knowledge, talent and practical, not hypothetical, creativity of the person who masterminds it for men and women with different skin types and needs.